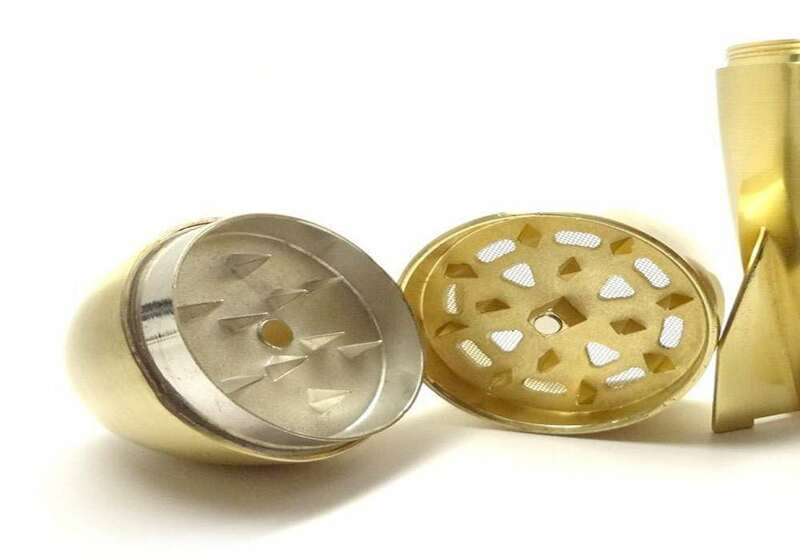 You know why they made the Atomic Grinder. So you can tell everyone your herbs are the bomb. 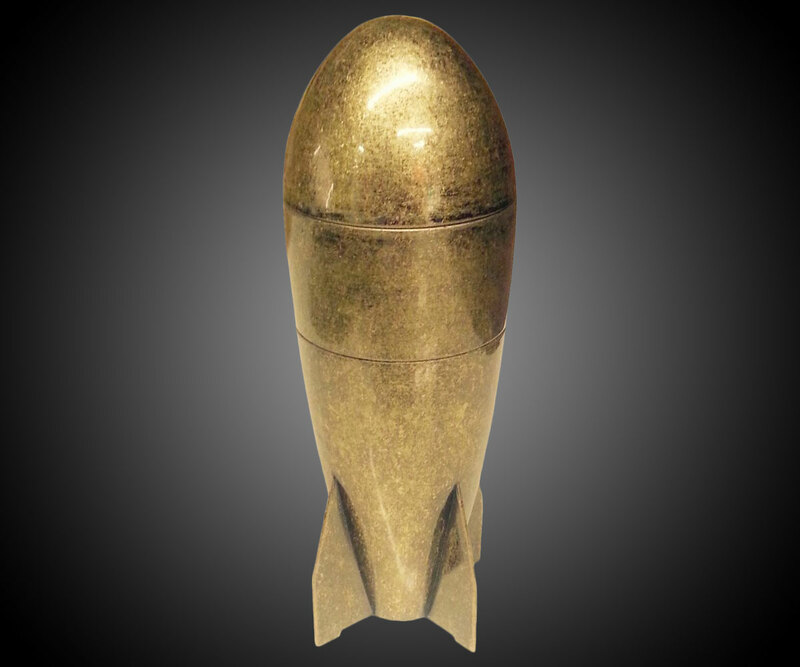 Modeled after the Mark VI nuclear bomb, this dry goods pulverizer is made of zinc alloy, and comes in your choice of shiny gold or speckled bronze. It includes 3 chambers with a screen, magnetic lid, and spice-splicing teeth. 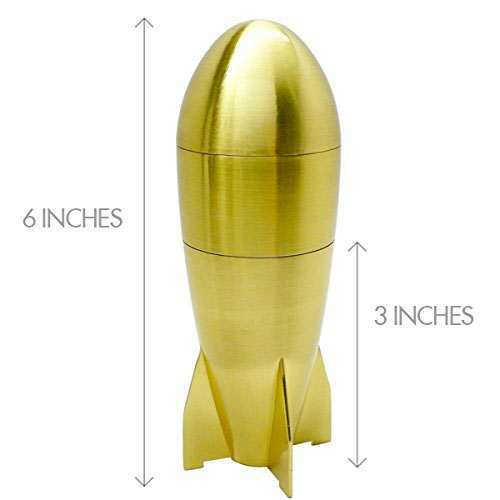 The Atomic Grinder stands 6" tall and has a 3" deep pollen catch storage area. 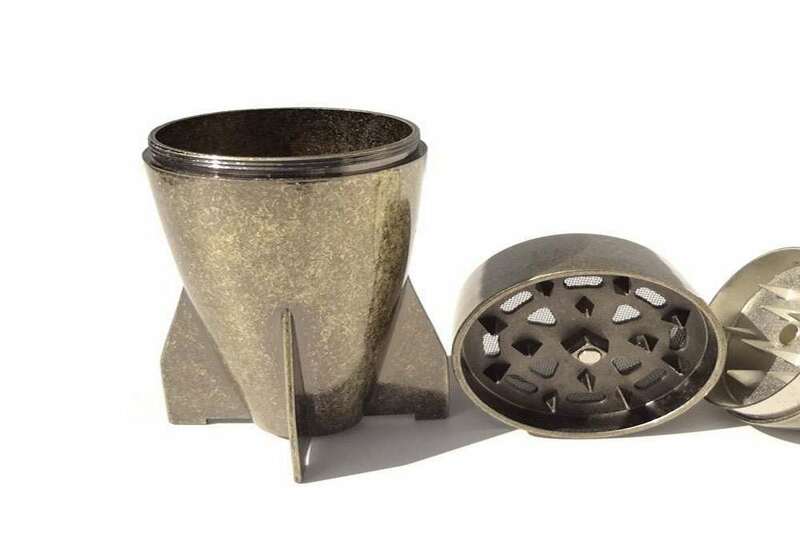 Its makers note that while excellent in performance as a kitchen tool and piece of drug paraphernalia, the grinder also makes a swell conversation piece and paper weight, so it could be the perfect gift for both your stoner cousin Larry and your WWII-veteran grandfather. Then again, given the life he's led, Grampy might dig putting the Atomic Grinder to its highest and best use too.